Even if I didn’t post a lot of Swiss yodels, I’m sure you’ve heard them before. They mostly come from the German speaking part of the country, the French speaking part being underrepresented in yodel terms. But they exist, sometimes in strange and crazy forms. This week, I would like to speak about Aristide Padygros. Be ready for big moustaches and long hair ! 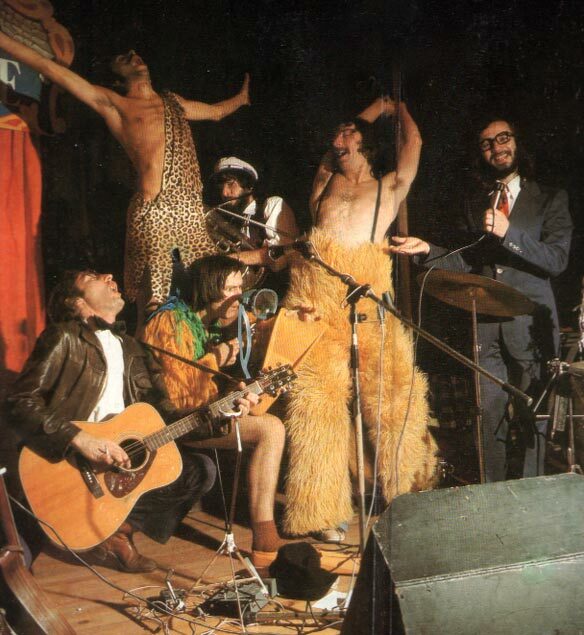 The band was founded in 1970 by Olivier Cabanel in Geneva with Swiss and French members. They were part of the folk revival movement in Europe and made a name in the folk circuit with their not so serious albums, their sense of improvisation and party. 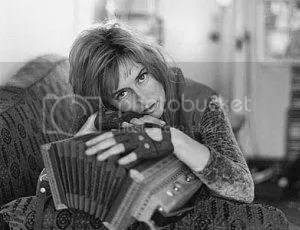 The repertoire was inspired by the folk musics of different countries like France, Belgium, Switzerland and American styles like cajun or Canadian music. In the seventies, they made lots of concerts, playing at Paris famous Olympia, meeting French humorist and stand-up comedian Coluche, making a tv-movie for Swiss television in the Monty Python vein (L’irrésistible ascension des Padygros) and recorded four LP’s. In 1978, Olivier Cabanel left the group and began a solo career, while being very active in the defense of the environment. An other member of the group, Alain Monney, works now for the Swiss television, writes books and creates graphic art. The two songs presented here are from the album Aristide Padygros, released in 1976 (original rip from the vinyl, with some cracks). The first one, Kosmick Zeuerli is a 34 seconds long yodel sounding a bit like a Gregorian song or as the title says it, like a cosmic thing. The second one, Der Landema tanst reveals the skill of a good yodeler, but I don’t know who he is. It is played in a Swiss traditional instrumental style, but as seen through the folk revival. For his third session in Camden in february 1928, Jimmie Rodgers began recording with other musicians. One of them, Ellsworth T. Cozzens, a steel guitarist of Hawaiian origin, wrote a song for Jimmie Rodgers, as did his sister-in-law, Elsie McWilliams. All songs from this session contain yodels. 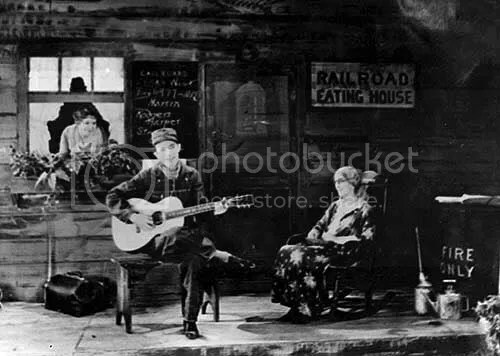 Due to the popularity of the Blue Yodel, Rodgers recorded sequels, the numbers two and three. In fact, in order to increase sales, Ralph Peer decided not to give names at the songs composed by Rodgers but just number them. Lucille blues became Blue Yodel No.II and Eyes like diamonds was relabelled Blue Yodel No.3. Another classic, In the jailhouse now, comes from the same sessions. It tell the story of the prisoner who gains his liberty by playing guitar. This song, with others, helped create the public image as railroader and rambler even if he was to frail to do it in real. Brakeman’s blues, in a blue yodel vein, was quite a succes with 262.000 pieces sold. Yes ! They yodel in Cambodia ! Sinn Sisamouth does ! 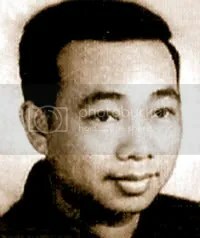 Sinn Sisamouth was one of the biggest stars of pre-Khmer Rouge Cambodia, in the sixties and seventies, at a time where the Cambodians were into different kinds of musics inspired by occidental styles, french chanson, psychedelic rock, Beatle tunes and some cha cha cha and mambo. I could write pages and pages about Sinn Sisamouth but others have done it already. I just give you some links at the end of the post. I found only two songs where he yodels and I have no idea why he yodels. A search on the internet hasn’t given me any answer. And my Khmer doesn’t go further than “suasaday”. I hope you’ll enjoy these songs as much as I do and that you’ll dwell deeper into this style, there’s a lot to be discovered. And listen to Dengue Fever ! Link 5: myspace, with interviews of his family in Khmer and a wonderful excerpt of a movie, with typical dancing. You are currently browsing the Mademoiselle Montana's Yodel Heaven blog archives for October, 2008.